I used to not be very interested in St. Patricks Day, until I started learning about the life of St. Patrick, and then it came alive for me. 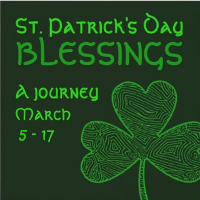 I love this post...would you like to share it on my St. Patricks Day Blessings post? It's a post on St. Patricks Day from a religious perspective, and this post would fit in nicely there. No link back required. Isn't it wonderful with history comes alive for you? Thanks for the tip Gale. I'll pop over and visit! :-D I almost always change the linky codes. I like to send people to the category or linky landing page so they will see the newest linky. Keeps things more up-to-date when I'm sharing older content.